The Russian battlecruiser Pyotr Velikiy leaves for St Petersburg to take part in a ship parade marking Russian Navy Day. 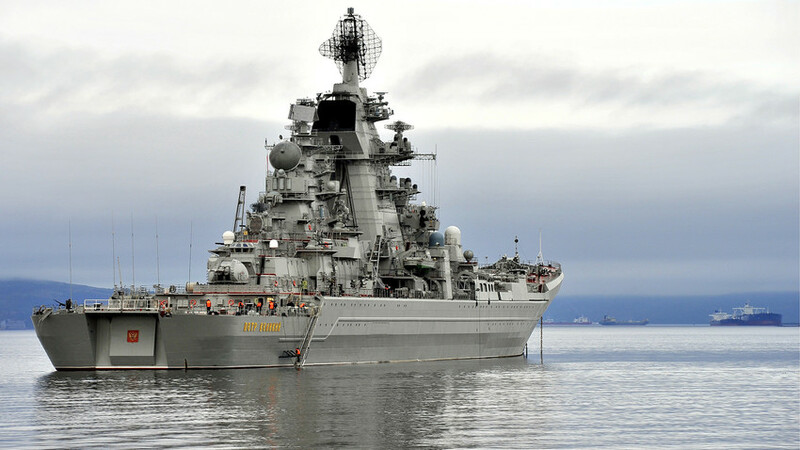 The Russian Peter the Great nuclear missile cruiser will be the first to obtain the Tsirkon hypersonic missiles, which will make it an impenetrable floating fortress. But is it true that one of the Russian Navy’s flagships is the most formidable ship at sea? In 2019 the Peter the Great heavy nuclear missile carrier will return to port, where it will undergo a full modernization cycle and receive the latest weapons. The Peter the Great is the main ship on the list of candidates to receive the Tsirkons, the first hypersonic missiles in the world. This weapon, which is capable of overcoming all existing anti-missile defense systems, will make it invulnerable and "the most formidable sea monster at a distance of 1,500 miles, the range of the missiles,” claims Dmitri Safonov, a former military analyst at Izvestia. The ship’s displacement is 25,600 tons at a length of 250 meters and a width of 28.5 meters. About 760 people are needed to work this sea giant, to make the floating fortress viable. “The ship has a wide array of weapon systems: 20 launch installations for the Granit anti-ship missiles, the S-300 anti-ship defense system and the Kinjal and Kortik anti-aircraft missile systems,” Safonov adds. Ships from this project (1144 Orlan) are the only nuclear-powered Russian Navy vessels whose capacity can reach over 100 Megawatts, he says. He also notes that new nuclear ships and advanced icebreakers are being constructed that will furrow the expanses of the Arctic and the Northern Sea Route. In terms of capacity, they will be more powerful than the Peter the Great. However, until it is thoroughly modernized, Peter the Great remains weaker than any American equivalent. “Currently, the American Navy is armed with missile cruisers such as the Ticonderoga, on which, as seamen like to say, there is no place for an apple to fall, since it is fully covered with weapons,” TASS military analyst Victor Litovkin says. Today the American Navy has 22 such ships. Their displacement is practically two and a half times less (9,800 tons) than Peter the Great’s, yet each ship can carry up to 122 missiles from the SM-2, SM-3 and SM-6 classes, as well as Tomahawk cruise missiles, which are the equivalent to the Russian Kalibr. 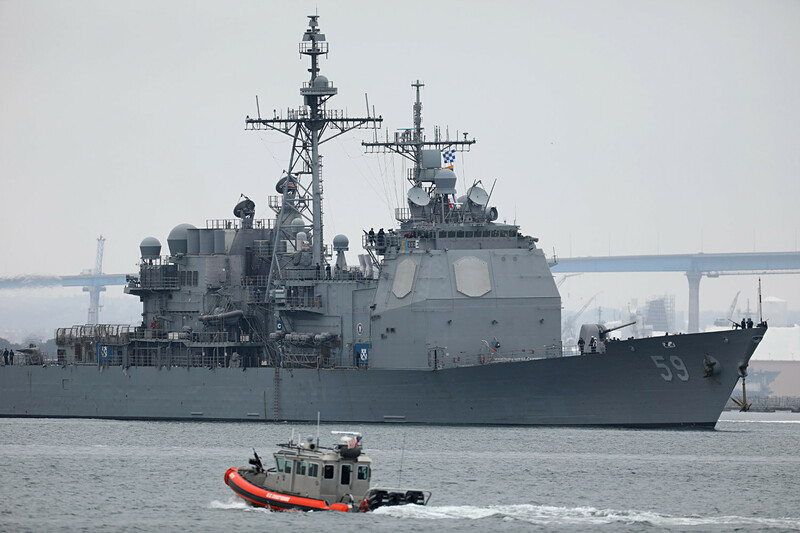 “Also, the American ships have eight launching installations for anti-ship missiles and an entire series of large-caliber guns and artillery installations for shooting low-flying targets in the air. Therefore, it is not the size that is important, but the possession of high-tech systems onboard,” adds Litovkin. Such a ship’s key advantage over the Peter the Great is a wider range of weapons and the possession of cruise missiles onboard, missiles that the Russian ship will obtain only in 2019 after the modernization process, he says. “The Americans also plan to carry out a modernization program and resupply their missile ships with modern weapons. However, the president and Congress still have to decide whether the presumed $300 billion will go towards the modernization of the Navy or the write-off and construction of new ships. While the Americans are thinking about this, Russia has a chance to construct the most powerful ship in the world, one that will have hypersonic and cruise missiles onboard, Litovkin adds. After the Peter the Great is modernized and receives the Tsirkon hypersonic missiles, even a modern and unique sea giant such as the British Royal Navy's Daring will not be able to counter the Russian missile cruiser, Litovkin claims. 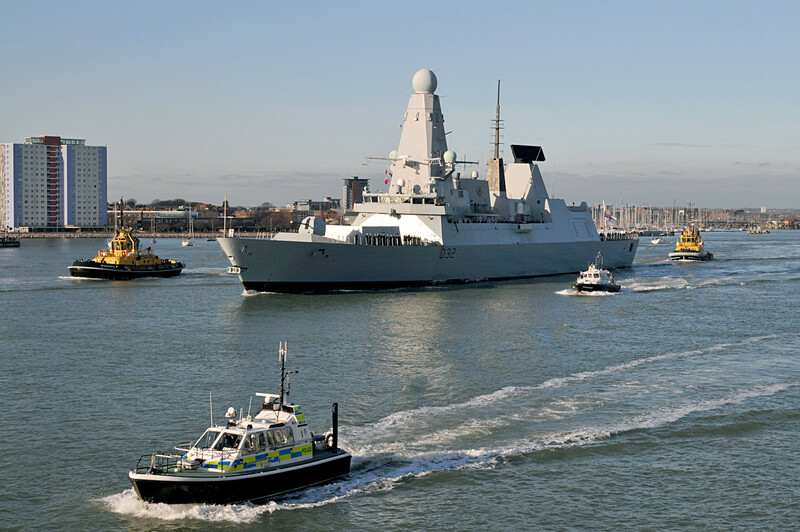 The Daring is considered the Royal Navy's most technologically advanced ship after aircraft carriers. Unlike the Peter the Great and the American Ticonderoga, the base kit of the Type 45 Daring missile destroyer lacks attack and anti-ship resources, since its main aim at sea is to protect other naval vessels from airstrikes. However, experts say that it is possible to refit the Daring to take Tomahawk missiles. “Other NATO ships have attack force functions. At the same time, the Daring is one of the most recent ships built early in the 21st century. Technologically, it is ahead of our ship and the American ship, thanks to the computer systems and the radar systems it has onboard,” Safonov suggests. Safonov says that it has an air defense system that can simultaneously track 1,000 targets at a distance of 250 miles. The ship’s air defense systems can simultaneously shoot at 16 of them. “Onboard, the Daring has 48 missiles with a striking distance of 75 miles. Thanks to them and the ship’s layout, it is a perfect resource to protect the aviation carriers from attacking ships and submarines, as well as an irreplaceable resource for reconnaissance and eavesdropping,” Safonov concludes. Why were the hussars considered Imperial Russia's craziest troops?